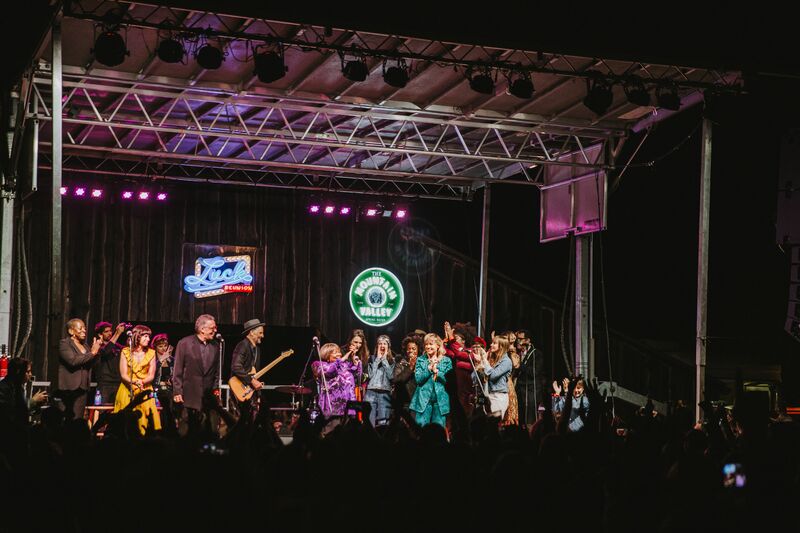 The gospel legend invited almost all the female artists performing at Luck on stage for a powerful cover of "The Weight"
Willie Nelson’s ranch is a little bit like Disney World, except with less cotton candy and a lot more marijuana—but just as many attractions. At this year’s Luck Reunion, which happened, as it does annually, smack in the middle of South By Southwest week on Thursday, March 14, cowboys and country fans converged at Nelson’s sprawling property outside Austin in Spicewood, Texas for a day of music, food and merrymaking. 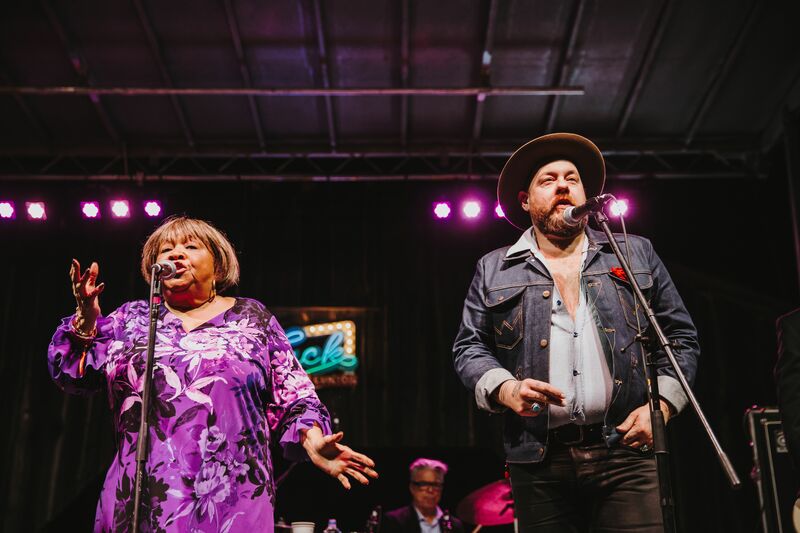 The one-day music festival, which was sponsored by Southwest, showcased acts from across the rock, country and Americana spheres including Nathaniel Rateliff, The Marcus King Band, Mountain Man and Austin’s own Shakey Graves. Far removed from the chaos of downtown Austin, Luck Reunion was the gloriously laid-back respite attended by leather-clad roadies and Nashville sceners I didn’t know I needed. The night wound down with a career-honoring performance from Willie Nelson himself. It’s hard not to love her, right? Staples did it again at Luck. Wrapping up a joyful, dance-move inducing set that included a cover of the Talking Heads’ “Slippery People,” the always soulful 79-year-old, a festival headliner with a stage named in her honor, welcomed a troupe of fellow Luck artists—Nathaniel Rateliff, Mountain Man, Yola, Haley Heynderickx, Courtney Marie Andrews and pretty much every other female artist who performed that day—for another rendition of “The Weight.” Staples is proof that music is still an overwhelming force for good, possessing the power to inspire social change and, as one 2019 organization icon might say, “spark joy.” Seeing her up there alongside a fiery team of up-and-coming women artists, growling out every “Take a load off Fanny” with equal parts intensity and compassion, was a religious experience. Staples is pure and good and we need her as much now as we did in the 1960s. She preaches love without sounding preachy, and that night at Luck, she delivered a sermon I’ll not soon forget. Be still my beating heart. Want more Mavis? Read our list of 10 things you didn’t know about Mavis Staples. Below, watch a 2011 interview with Staples at Bonnaroo. For more information about Luck Reunion, visit the festival’s website.